Eighth and Main office building by Miller & Favazzo Properties - quality real estate development and property management. This 22-story building, located in the heart of Richmond, Virginia, was designed by Skidmore, Owings, and Merrill. 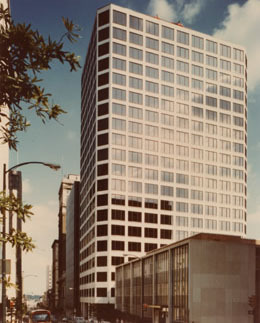 It encompasses 317,000 SF of first-class office space and was completed in 1976. When it opened it was the world headquarters for Wheat First Securities and featured a white marble façade.